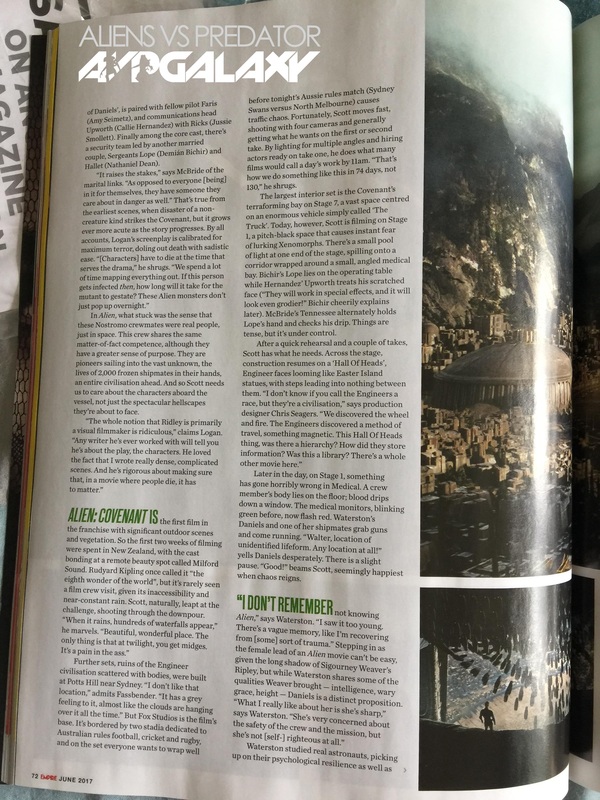 Latest Empire Alien: Covenant Article Images! Last night Empire shared the subscriber exclusive Alien: Covenant cover via their Twitter (h/t to Pvt. Himmel for posting). 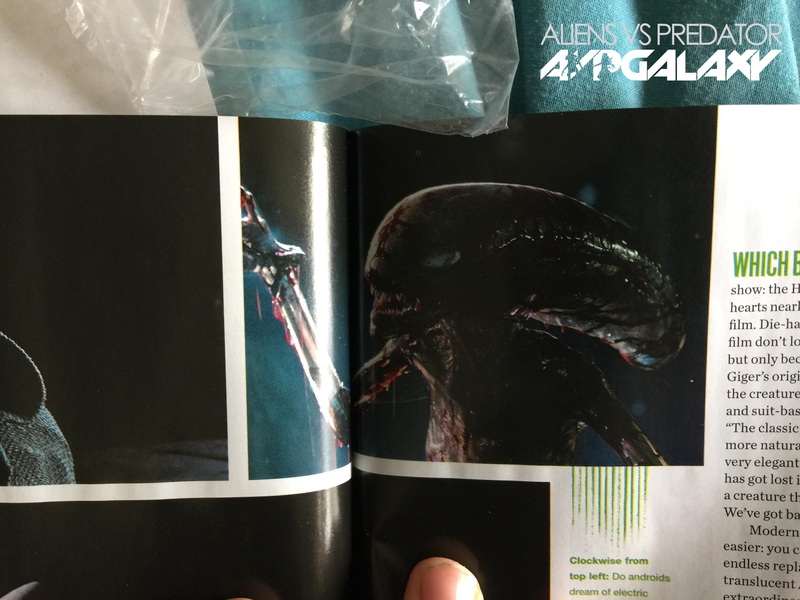 That issue is now arriving through subscribers mailboxes this morning and thanks to Alien vs. 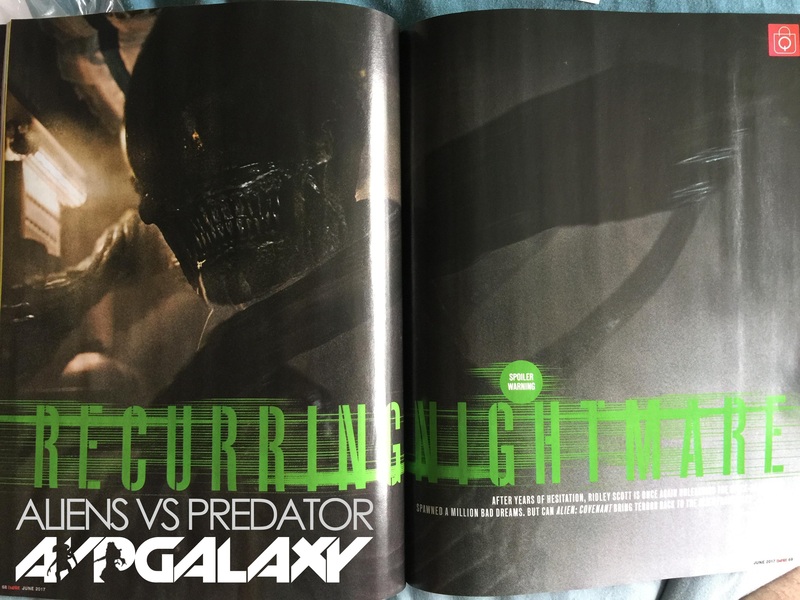 Predator Galaxy community member Gazz we have some images of the new article. 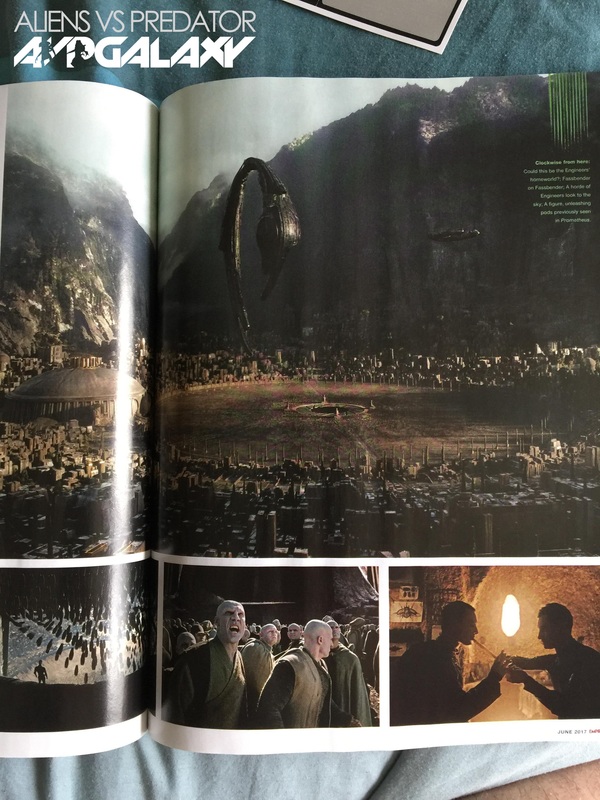 And it’s full of new stills and information. Beware spoilers. 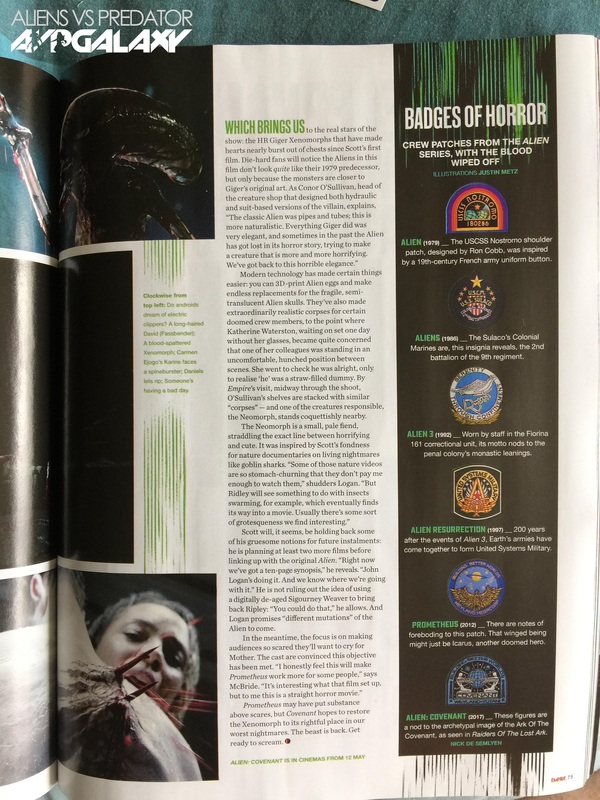 The new stills include the scene shown at CinemaCon where David bombs the Engineer city, the Neomorphs and a newborn Alien. 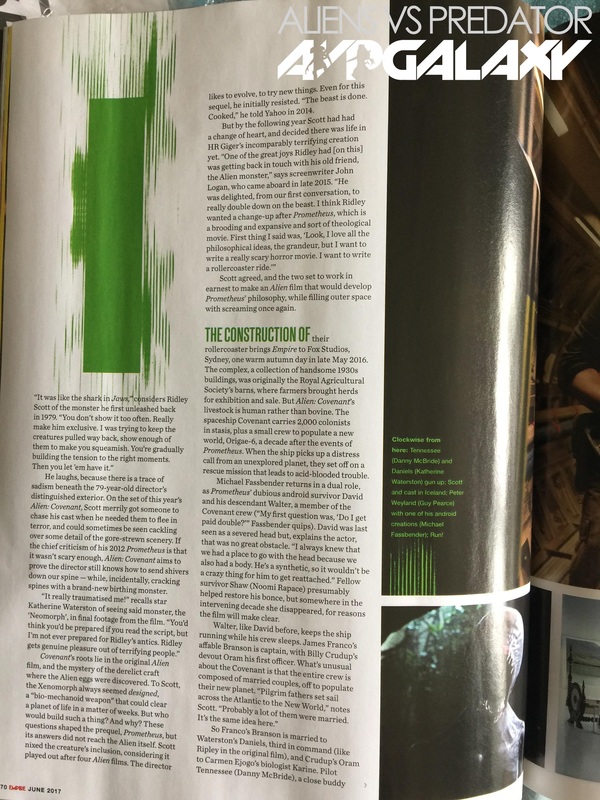 The article itself is also full of new information, including some comments from John Logan about returning back to the Alien, the Covenant’s original destination being a planet called Origae-6 and plenty more! “Ridley Scott soon returns to the Alien universe he began in 1979 with the latest instalment: Alien: Covenant. To mark the occasion, we’ve welcomed the iconic xenomorph back to the cover of the world’s biggest movie magazine. As usual, Empire subscribers are getting their own limited edition design; here’s what will be landing on their doormats this month. We’ll have some better quality copies up when the issue is available digitally. Keep a close eye on Alien vs. 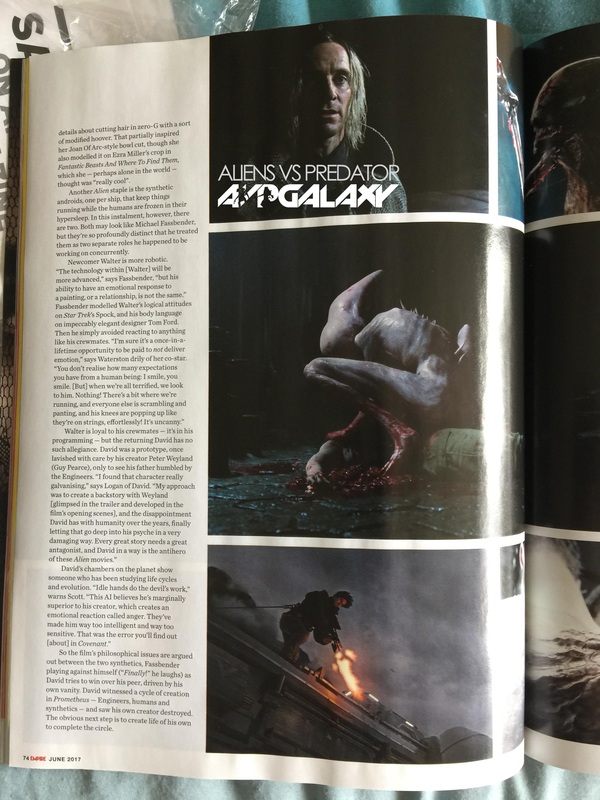 Predator Galaxy for the latest on Alien: Covenant! You can follow us on Facebook, Twitter and Instagram to get the latest on your social media walls. You can also join in with fellow Alien fans on our forums! 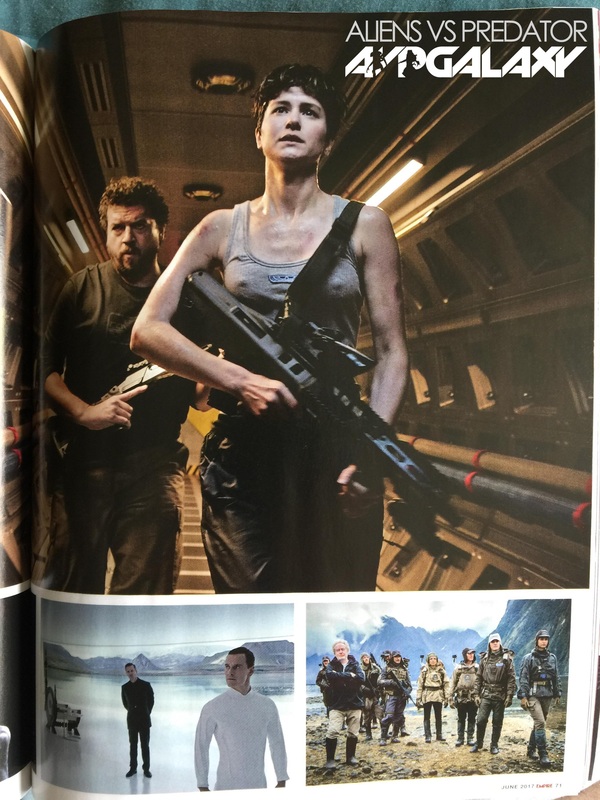 Javier Botet Performed Motion Capture For Alien: Covenant?